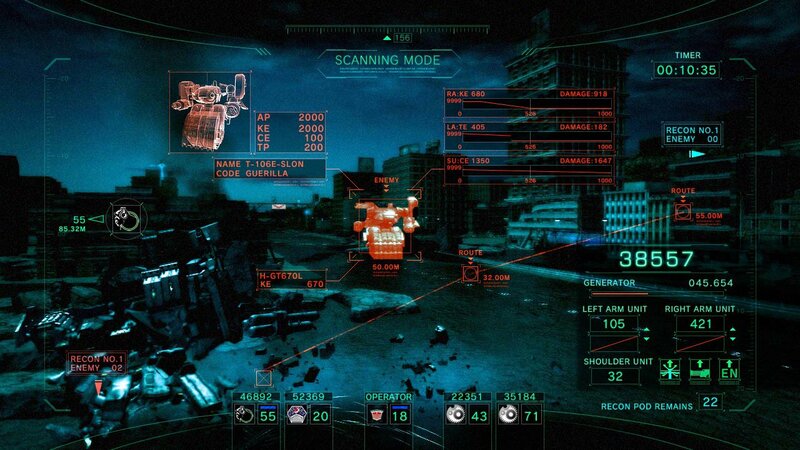 Despite the recent cancellation of the Armored Core V Demo due to the ongoing earthquake/tsunami/nuclear crisis in Japan, From Software still seems to be hard at work on AC5 Development. 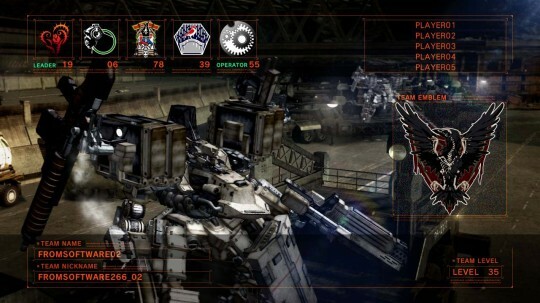 Over the last few days, Armored Core 5’s official facebook page has been updated with new screenshots showcasing the interface for AC operators. 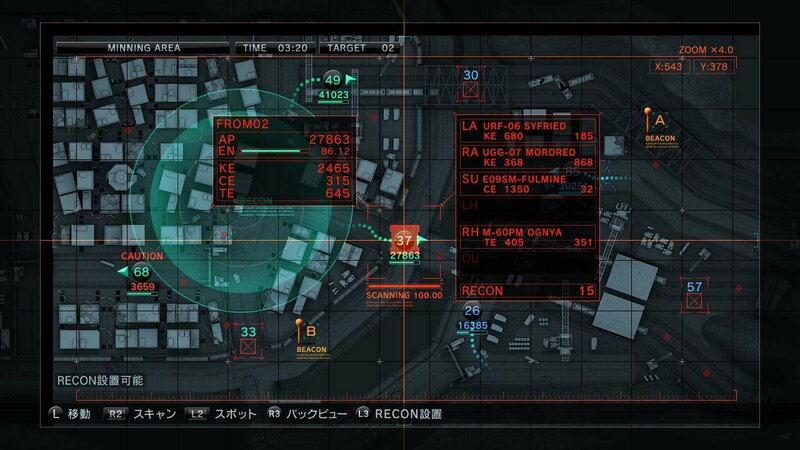 The two screenshots above show what seems to be the operator HUD, which provides information on both allies and targets. 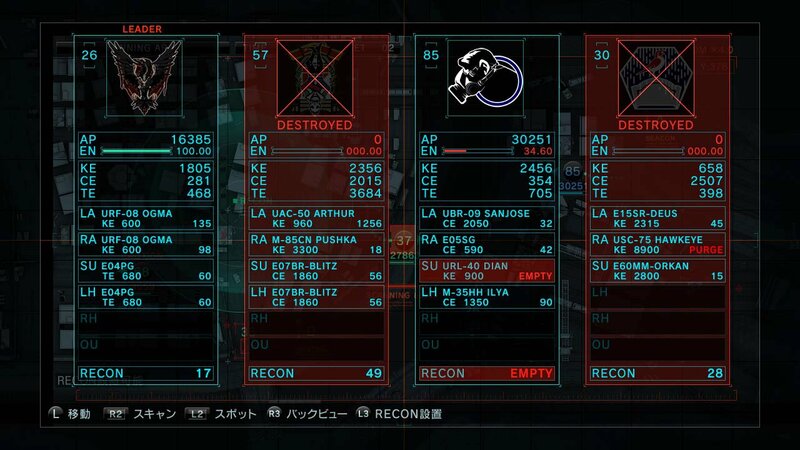 Details to note are “Recon No. 1″ on the top right and “Recon Pod Remains” on the bottom right, which I can only assume are referring to remote operator-controlled cameras. It is the screen of the scan mode of a new element. 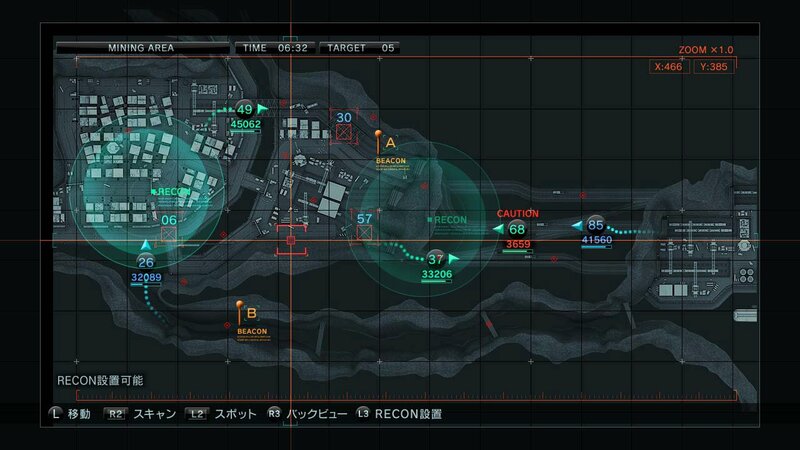 The player makes full use of Scan Mode and does a searching for the enemy of circumference and I think about a capture method …by oneself and act. 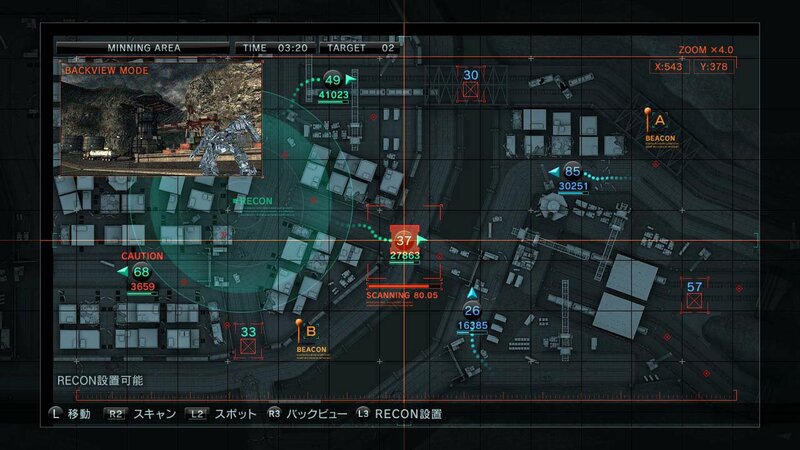 Map overviews and team status displays are apparently also present. As of yet, it is still unclear if operators will be in their own AC or in an AWACS-type craft or in Cipher-like UAVs. 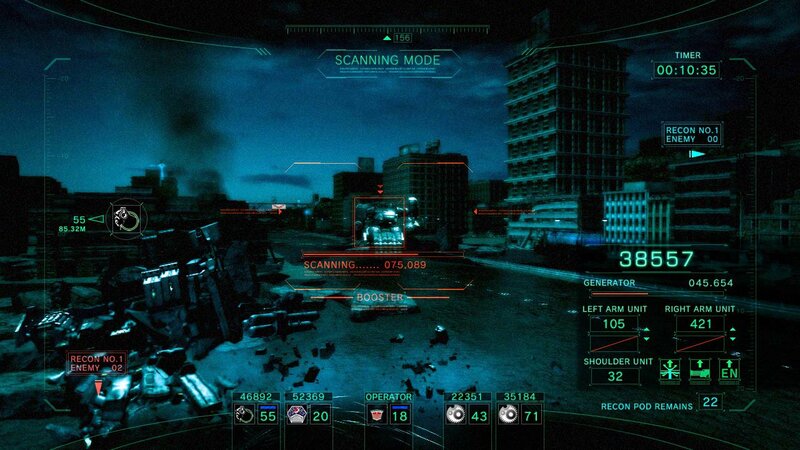 What Does Your Tank Look Like In AC5?